A little while ago, Boing Boing writer Seamus Bellamy contacted me for an article he was writing for the “award-winning zine, blog and directory of mostly wonderful things.” He asked me a series of questions about the modern religions of Ásatrú and Heathenry as he worked on a follow-up to an earlier article of his on Heathens in the American military. As I’ve done in the past after being interviewed by journalists, I’m publishing the questions asked and my full answers here. Mr. Bellamy’s questions are in large bold type, with my answers following each one. I would like to thank Mr. Bellamy for his thought-provoking questions and for providing this opportunity. I hope that my answers are interesting to some of you. You can read the article on the Boing Boing website by clicking here. How would you define Heathenism to someone unfamiliar with the term? The set of definitions I wrote for the Religion Newswriters Association’s Religion Stylebook are at https://www.norsemyth.org/2013/09/asatru-definition-for-journalists.html. 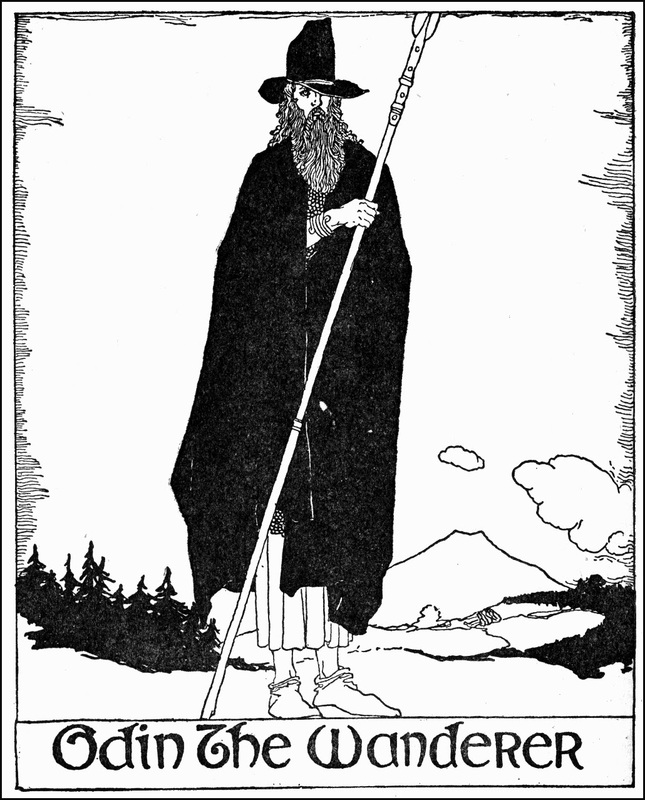 Ásatrú is what sociologists call a new religious movement (NRM). 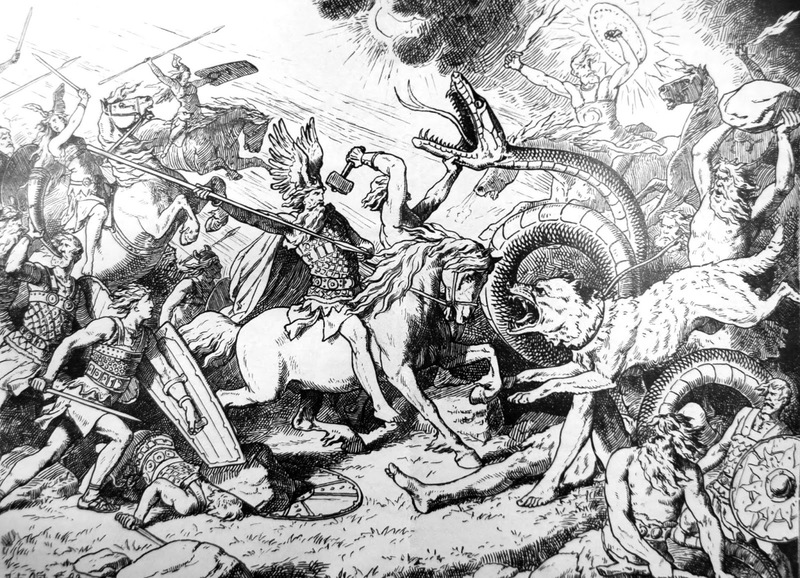 In Iceland, the old faith of Odin, Thor, Freya, and the other Norse gods and goddesses was officially abandoned for Christianity at the national assembly in the year 1000 CE. 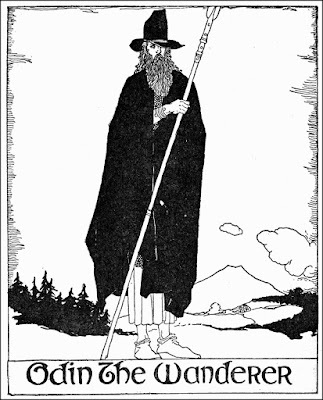 Although private practice continued for some time afterward – and folk practices continued much longer still – it wasn’t until after a group of twelve men and women adopted the term Ásatrú and formed the Ásatrúarfélagið (“Ásatrú Fellowship”) as a new religious organization in 1972 that the old gods were once more openly worshiped in the country. The Ásatrúarfélagið was officially recognized by the Icelandic government in 1973, and its members performed the first public blót (Heathen ritual) held in Iceland since the rite was outlawed almost a thousand years earlier. The religion soon spread out internationally, and the number of adherents has greatly grown over the past forty-five years. Ásatrú is now the largest non-Christian religion in Iceland, and the construction of a major hof (Heathen temple) is nearing completion. According to the 2013 Worldwide Heathen Census, some form of the religion can be found in ninety-eight countries, with the United States having by far the largest number of practitioners. That’s an amazing spread of what remains a largely unrecognized and misunderstood religion in less than half of a century. This way of seeing the world leads to a way of living in the world. The past is an active a force that affects the present as the present continually becomes the past. Heathens often say that “we are our deeds,” meaning that the actions we take in the now become part of the past that determines what can happen in the future. One way of conceiving of this process is as weaving a web of wyrd, of being part of a vast network of deeds and consequences. This naturally leads to the honoring – not the worship, as it’s often misunderstood – of those who came before us and whose deeds made our own lives possible. Find is a good word to use. There was no conversion process, as there often is in the Abrahamic faith traditions. Instead, there was a realization and recognition that this modern religion with ancient roots was the right thing for me. As with many Heathens, it was less a sense of coming into a new belief system than a having a sensation that this is what I already was. Reading the book, I immediately saw my Opa in Thor. My German grandfather was born in the old country as a peasant farmer – traditionally, the major constituency of the thunder god – and worked as a bricklayer in Milwaukee after World War II. He loved drinking, dancing, children, and good solid food. The myths specifically show Thor sharing these loves, except for the maybe the dancing. The god of the myths is arguably the idealized self-image of the free farmer, the ancient social class to which my Opa himself belonged. Like Thor, my Opa was quick to anger, yet equally quick to joy. If someone wants to learn about any living religion, the best thing to do is to get to know practitioners of that tradition. Thor’s Oak Kindred, the Ásatrú group in Chicago that I lead as goði (priest), has members from Chicago and the surrounding region. Anyone interested in learning about the tradition can contact us and ask for pointers about clergy or groups in their area that are holding public events or are interested in discussion. There are two wonderful and accessible books for learning about learn about historical Germanic polytheism. H.R. 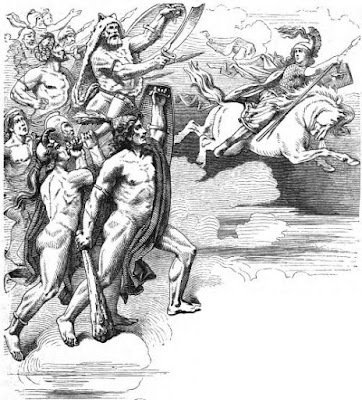 Ellis Davidson’s Gods and Myths of Northern Europe (1964) is my favorite introduction to Norse mythology, religion, and culture. The book introduces us to each of the major deities in detail and discusses not only literature but archaeology, theology, history, place-name analysis, visual arts, and more in a virtuosic work that my high school, college, and adult students love to read. Rudolf Simek’s A Dictionary of Northern Mythology (1992) is a wonderful work that’s really more of an encyclopedia than a dictionary. As the preface explains, “the mythology and religion of all Germanic tribes – Scandinavians as well as Goths or Angles and Saxons – have been dealt with [in this book] insofar as they are Germanic in origin; hence, of the English mythology of heathen times, the religion imported by the Germanic tribes is included.” Modern Heathens tend to have an expansive sense of the historical background of the modern religions. We study sources from Iceland, England, Denmark, Germany, and elsewhere. Simek’s work is beloved by many of us both for its inclusion of a wide range of material and for its insightful drawing of connections between diverse sources. For a more in-depth work, the two-volume Our Troth is a massive collaborative work divided into History and Lore (2006) and Living the Troth (2007). This is the standard text I recommend to scholars who want a detailed work on beliefs and practices written from a variety of perspectives within these religions. The fact that some of the authors featured and perspectives forwarded are deeply problematic itself provides a sense of the complicated issues and deep conflicts within modern Heathenry. In 2013, the Department of Veterans Affairs responded to a petition by American Heathens and approved Mjölnir (Thor’s hammer) as an available emblem of belief for government grave markers. 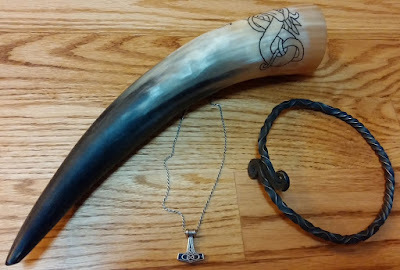 The U.S. Air Force added Ásatrú and Heathenry as options on its religious preference list in 2014 , and – after an email campaign and the submission of the Heathen Resource Guide for Chaplains to the Department of Defense in 2016 – the religions were finally recognized across all branches of the U.S. Military Services in 2017. 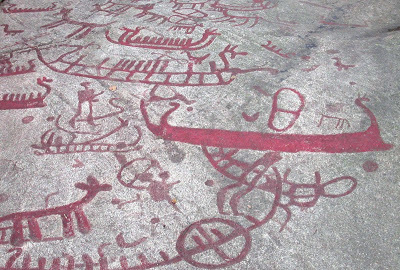 However, there are still no Ásatrú or Heathen chaplains, and there are reports from practitioners that recognition hasn’t been fully implemented at ground level. There’s been talk in the news, on and off, about white nationalists and other racist groups taking an interest in "Odinism." What’s the attraction, and is their aggression and hate the norm, in your experience, with other practitioners of the faith? There are other Heathen groups and individuals that hold and promote racist views, and their loudness on the internet gives an exaggerated impression their actual numbers. They have been emboldened in the U.S. by the alt-right-adjacent public statements of Donald Trump as candidate and president and by mainstream media coverage that continues to scold non-Republicans and insist they have to listen to the concerns of the right-wing extremists regularly portrayed as “the folks next door.” Members of Heathenry’s racist fringe in the U.K., continental Europe, and the Nordic countries have been likewise emboldened by the rise of far-right politicians and the hateful rhetoric against immigrants and refugees. Christianity, Judaism, Islam, and other major faiths are discussed openly in the media on a regular basis. With such a long-running tradition, and so many adherents, why are Pagan and Heathenistic faiths pushed to the side more often than not? I have no problem with reporters reporting from a specific faith perspective. I was hired a columnist at The Wild Hunt specifically to do so. But The Wild Hunt openly announces itself as “a daily, independent news journal dedicated to serving the collective Pagan, Heathen and polytheist communities worldwide.” I openly declare my religious affiliations in my articles and my bio. Two years ago, Lyric Opera of Chicago debuted its new production of Das Rheingold, the first opera in Richard Wagner’s Der Ring des Nibelungen. Last year saw the premiere of Lyric’s Die Walküre, the second part of the fifteen-hour cycle inspired by Norse and Germanic mythology and legend. On November 3, the third part of Wagner’s epic will be staged with the debut of the new Siegfried production. The series will conclude with Götterdämmerung in the 2019-2020 season, followed by a presentation of three complete Ring cycles beginning in April 2020. 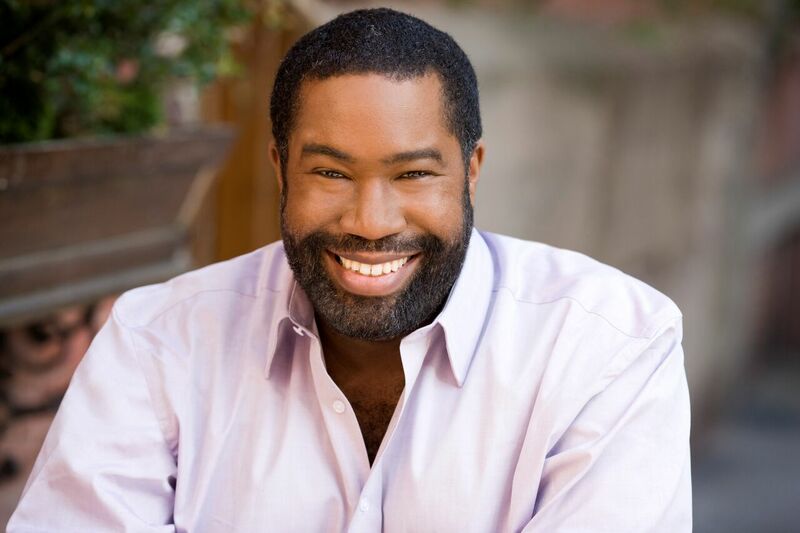 As in the first two operas performed in Chicago, bass-baritone Eric Owens will be playing the part of Wotan, Wagner’s re-imagining of Odin, the patriarch of the Norse gods. 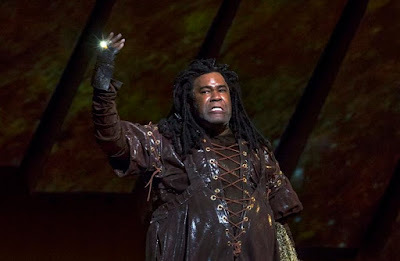 Before joining the Lyric cast, he notably played the part of Alberich the dwarf in the Metropolitan Opera’s Ring Cycle. Shortly before Das Rheingold premiered, I conducted interviews with both Owens and David Pountney, director of Lyric’s Ring. I also attended the opening night gala performance and wrote a review. The Pountney interview and the review were published in 2016, but the Owens interview appears here for the first time. Owens is incredibly candid as he discusses a wide range of issues: performing Wagnerian roles, playing the part of Grendel, working with elaborate staging in Met and Lyric versions of the Ring, portraying anti-Semitic stereotypes in Wagner’s mythological operas, examining problems with Porgy and Bess, embodying the father of the Norse gods as an African-American, examining then-candidate Donald Trump’s relationship to American racism, and addressing inequality in public education. The contrast between the responses of Pountney and Owens to questions of anti-Semitism and racism is striking. 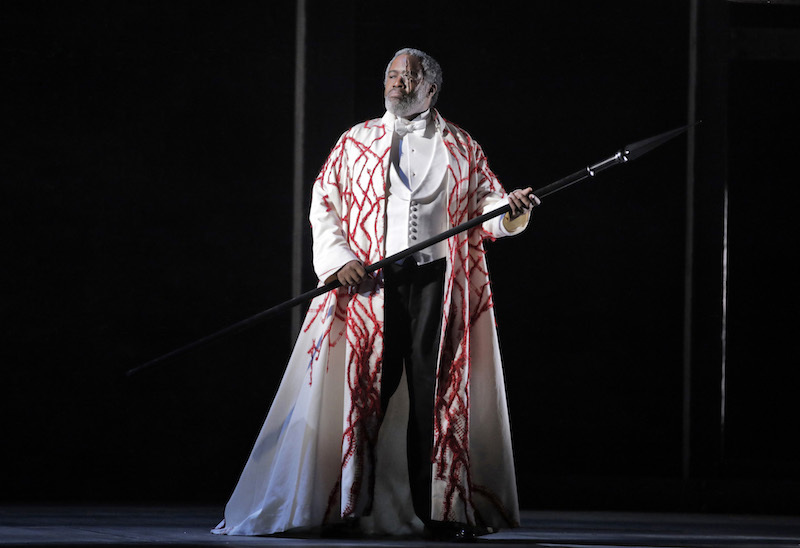 In a combative interview, the director strongly denied the presence of any anti-Semitism in Wagner’s work, called the refusal of some Jewish performers to perform Wagner’s operas “ridiculous,” and suggested that casting a black man as “Zeus” was enough to answer any questions of racial prejudice in the opera world. Owens, on the other hand, offers detailed and thoughtful answers on these and other complex issues. Of all the interviews I have conducted with religious leaders, political figures, academics, authors, artists, musicians, and archaeologists, this one arguably features the most erudite and reflective interviewee. You can read the David Pountney interview by clicking here and the Rheingold review by clicking here. KS – How do you memorize the vast amount of text and music required for Wagner’s lead roles? EO – Just like any other [opera role]. Marrying those two together is what makes it click more; the music guides the text memorization. There are times when we’ll stop and they’ll just say the line, and then I’ll think, “Ah, I don’t know where that is without the music.” It’s so woven together. It took a lot longer to learn Alberich than it did to learn the Rheingold Wotan, because he doesn’t really have all that much to say, compared to Walküre and even as the Wanderer in Siegfried. Ideally, any one of these roles shouldn’t take more than four or five works to learn. Years ago, a professor of mine told me, “Ah, three weeks!” Not that you’re going to do it in three weeks, but let’s say you were under the gun and somebody wanted you to learn something really quickly. We should be able to do it in three weeks. He’s pretty right. I can tell you what’s harder is when Wagner starts getting really creative with the language to a point where I ask Germans, “What does this mean?” and they say, “I don’t know.” That stuff is hard to memorize, when it’s not conversational German. That sort of gets me, and that takes a while. There are a couple of lines in the Rheingold where it just took me a while to wrap my head around it, because it wasn’t especially conversational. Sometimes he’ll even make up new words, so he can have alliteration. KS – Do you learn the text first, or do you learn it together with the music? Ideally, I’ll try to learn [the text] first. The music helps. When it’s straightforward German, that’s easier to memorize. The verb’s in the second spot, and the infinitive’s at the end. When it starts getting really poetic and really esoteric, it’s hard to commit that to memory. KS – You played Achilla in Handel’s Giulio Cesare at Wolf Trap in 1995. 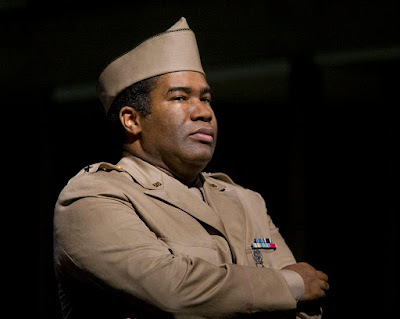 You created the role of General Groves in the world premiere of John Adams’ Doctor Atomic with Los Angeles Opera in 2006. 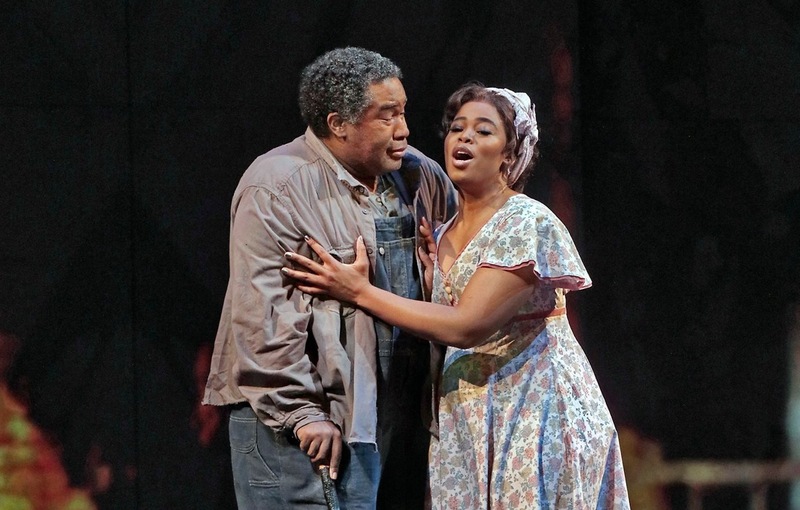 You were Porgy in Porgy and Bess here at Lyric in 2014. Now you’re rehearsing as Wotan. That’s an incredibly wide range of music! As a bass player, when I move between classical, jazz, rock, and other styles, each one has a very different physical relationship to the instrument and a very different mental process and spiritual psychology. How do you change your preparation and performance process as you move between these different worlds? EO – That’s actually a great question. When I think about Handel and Baroque music, there’s even more emphasis placed on the drama to be convincing – especially when you have the ABA form where you have da capo arias, and you have to really find out why this character needs to say these words again. I remember certain people saying, “People don’t talk like this.” I beg to differ. People do talk like this. I kind of joke and say, “When you go home for Thanksgiving, people repeat themselves.” Ha! You can have a discussion, and then it goes to something else, and it comes back. We just talked about this! It’s not all that much of a suspension of disbelief. It’s less text to learn, but I think there’s more of a responsibility to convey it in a way that it’s not contrived or goofy, even. I find, especially when it’s not just the music, but when you’re staging a Handel piece – and actually, even in concert – you have to deliver it in such a way that… All music has to feel like jazz. Even though we have the printed page, it all should feel like this music is being birthed into the world for the very first time, that feeling of improvisation. There’s an extra special thing you have to pay attention to. It’s got to be, when that comes back around, it’s got to be like the blues. Yeah, there are these twelve counts, but each time, something else is happening, But yet we’re married to something that’s printed and definite. Baroque music is actually my favorite style of music in the classical world to listen to, but I find it the most difficult for me to perform. The process is an odd one, this balancing act of being true to what’s on the page, but trying to make it sound like you’re riffing. Ha! That goes with any style, as of course you know. You actually get to riff. Ha! The Porgy… The first time I looked at that score, I thought, “This music’s a lot harder than it sounds,” because there’s a lot of influence of those early twentieth century composers – of Stravinsky and Ravel. When Crown gets killed, in the orchestra, he’s actually quoting the Rite of Spring chord. I went to the piano one time – I think there’s an extra note, but it’s the Rite of Spring chord, as Gerswhin was sort of straddling the whole classical and jazz thing. Learning it was a lot of fun. There’s nothing like singing in your own language. There’s an immediacy there. There’s no filter or barrier. You instantly know not just the words, but the social meaning of it. There’s something really special when I get to perform in English – and, ideally, in the other languages I sing in, it should feel like this – it’s got to feel as if you could start improvising, if the director says, “Okay, finish that sentence, but put it in your own words.” There’s something really amazing about that, that immediacy. Something else – this doesn’t have to do with learning – there’s something really nice. I only noticed it the last time I did Porgy. There’s something really cool about not being the only black face in the room. Which, on most occasions, I am – just given the career that I have and what I’m doing. I remember having this a-ha moment in a rehearsal once, where something was said, and then I made this cultural reference, and everybody got it. Ha! KS – You created the title role in the world premiere of Elliot Goldenthal’s Grendel: Transcendence of the Great Big Bad with Los Angeles Opera in 2006. Based on the 1971 novel by John Gardner, it retells Beowulf from the monster’s perspective. Julie Taymor’s production included a giant revolving wall, puppets, and costumes looking like they came from Doctor Who. How did wearing such an intense costume affect your performance as a singer? EO – It’s funny, because that costume looked a lot more severe than it was. The way that they made it, the coat wasn’t all that heavy, and I was in sort of a unitard out of really light material. Thankfully, it was not all that cumbersome and draining. The makeup was a huge process, though. It was pretty incredible, but it was intense, because I don’t really leave the stage. I was on stage all night. They were worried about it coming off. They couldn’t do anything to touch it up, so they came up with this concoction where they mixed the makeup with this special kind of glue. The makeup was basically glued to my face. It took longer to get it off than it did to put it on. Ha! That whole experience was an eye-opener to me. I found out that I could do things that I didn’t know I was capable of. Up until that point, I was doing all the very fatherly, avuncular bass roles – either the priest or some bad guy or the king or whatever. This was the first time where I was running all over the place and having to sing. I knew how physical it was going to be. During that whole process, I was seeing a trainer pretty much every day. I’d train in the morning and then go to rehearsal, because I knew it was going to be this demanding thing. It ended up being this amazing experience, where all of a sudden other things in my mind started to open up to me. I thought, “Ah, I can do this. I can do that.” It was amazing. I learned and grew so much from that whole experience. This year, it’s been ten years since the premiere. I don’t know if I could do it now. Ha! They keep saying, “We’re going to do this [again],” and I say, “You better hurry up, because that’s a young person’s role.” Ha! KS – From many of your interviews, it’s clear that you’re an artist who reflects deeply on the thoughts and motivations of the characters you perform as an actor. Did you read either the Gardner novel or the original Beowulf to prepare to play the monster? EO – Yeah, I did both. I actually went and got the Gardner between auditions, before the callback, so I could know what was going on. I knew it was that kind of situation, where you need to fill in those blanks. As the process has been tapered down to what ends up on the stage, it’s not going to be all of Beowulf, it’s not going to be the whole Gardner. There are instances where you might have questions about a character, and there are answers to them. They just don’t end up in the final product. When someone does an adaptation [of a book], they’ve got to whittle away at it. I think all theatrical performers – opera singers, theater people – you have to definitely read the original source material and try to find out what’s what. KS – You’ve played two frightening inhumans of northern mythology – Grendel and Alberich. I’m waiting for you to record “Erlkönig” to complete the trilogy of monsters. KS – Were there points of contact between your approaches to the two characters? EO – It’s funny. Yeah, and Grendel’s the whole reason why I got Alberich in the first place. [Metropolitan Opera General Manager] Peter Gelb came and saw Grendel, and this was right around the time when they were planning to do this new Ring. 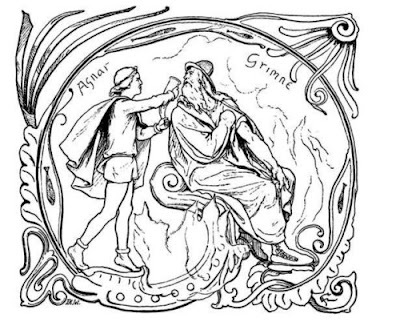 It was his idea for me to possibly do Alberich in his new Ring based on what he saw in the Grendel. It’s an amazing series of events that led up to me becoming a Wagnerian at all. This all didn’t happen because of some master plan. It just kind of unfolded. 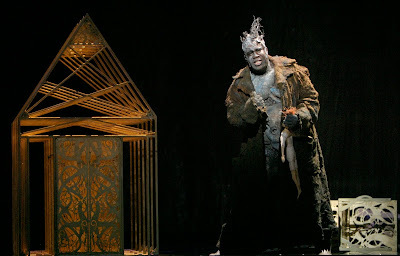 KS – Both when you were Alberich in the Ring Cycle at the Metropolitan Opera in 2010 and here as Wotan, you’ve been surrounded by oversized and experimental stage machinery. How does such elaborate staging and complicated direction affect your ability to focus on such difficult and lengthy music? EO – The rehearsal process takes care of that. What might look and feel insurmountable on day one, on day ten it’s an old hat. The whole process of weeks of rehearsal is necessary so that these things become second nature. If you know they’ve taken care of your safety, then you can – with practice – do things with a certain element of ease. There, I never felt fearful of anything, because I knew that people had my back, and also that we had done it enough times that things would be fine. Here, it’s a lot different, because it’s all manual. There’s not a computer controlling anything. There are some similarities, but some huge differences. This is all wonderfully low-tech. Ha! And purposefully low-tech. We’re not hiding the mechanics of it, and there’s no mystery. You see the people who are actually [moving the equipment]. We’re just a troop of storytellers. You never want it to look like, “Oh, my god, Eric’s struggling up there.” It has to look like the character doing whatever it is that character’s doing in their day-to-day business. If something’s encumbering that, then we have to come up with something else. All the directors I’ve ever worked with, they’ve never said, “No, it’s got to be this,” because they all know better. If your performers are uncomfortable, they’re not going to deliver a performance. They’re not going to be able to realize the vision that the director has. KS – Over the four years of this new Ring production, your character will evolve from Wotan to the Wanderer, from the powerful god who stares down giants to the gray pilgrim who exchanges riddles with dwarves, to the faded wizard whose spear is snapped by his young grandson. Then you’ll have to start over and make the transition in quickstep when you perform complete cycles as discrete units in 2020. Have you begun thinking about how you’ll approach the different aspects of the Allfather and his character development? EO – Yeah, it’s funny, because I have the luxury of knowing what the character doesn’t. I know how this is going to end. Wotan, right now, doesn’t. But with that, I have to be mindful of my portrayal, that I don’t get ahead of myself. I’m not the Walküre Wotan, who’s a very different Wotan. He’s got all these children. Ha! That changes one. He’s much older, and so I need to be mindful of an arc. As you were saying, by the time I do Walküre, it’s going to be another year. I need to be mindful of just how I physicalize the role now. Yes, he’s majestic and stately, but there’s a usefulness to it. I’m not going to know how I’m going to embody that until we have the other cast members, too. Christine Goerke’s Brünnhilde is going to be different from anyone else’s Brünnhilde. It’s got to be within the context of reacting to what’s going on around him. Not just what’s in a book, but how people are portraying it. My cast mates are going to influence how that arc takes shape. And that’s really exciting. You’re never going to have the same experience each time. There’s so much that goes into it. He is one of the characters, I think – he, along with Brünnhilde – that can actually have this evolution. EO – Yeah. Well, because of the lifestyle of this career. Just the road will do it to you. Ha! Sometimes, you just think, “What’s going on?” You spend a lot of time away from people that you would love to… family and friends. There are friends that I don’t see for years at a time, and that can start to wear on you a bit and just sort of test the boundaries of, “Am I doing the right thing? Is this something that I can continue to do?” Then you end up questioning a whole bunch of stuff when you’re left to your own resources in the middle of Europe somewhere with a time difference that’s not conducive to calling someone up and talking to them. KS – You’re spending the next four years playing the great one-eyed god of pre-Christian Germanic religion as filtered through Wagner’s creative spirit. 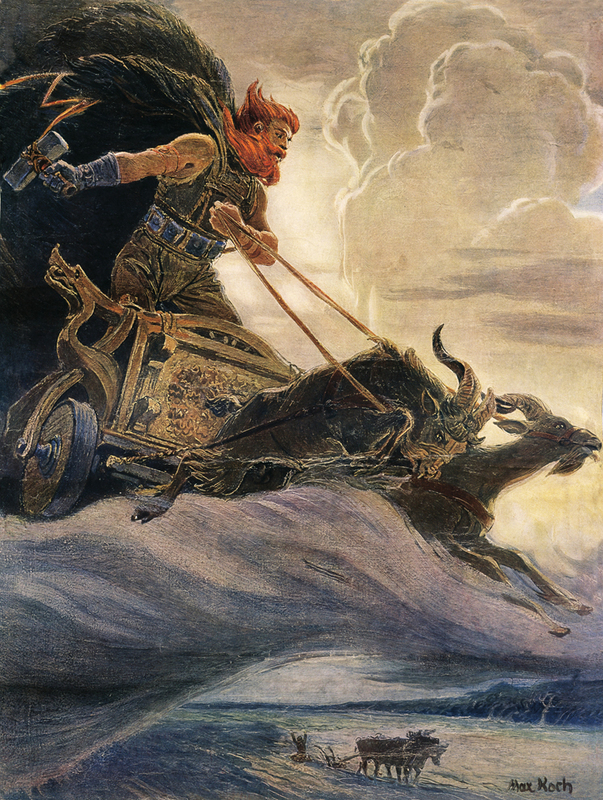 Have you engaged in any way with Wagner’s source materials from the pagan north – the Eddas or the sagas or anything? EO – I haven’t, really. It’s been mostly through Wagner’s filter. Then when you think of all the Nordic parallels, between Odin and Wotan and Thor and Donner and all those guys. But I haven’t gone farther back with that research. There’s so much. Ha! With the music and also with Wagner having been a guy who filtered all of it – the text and the music – which is really unusual, to varying degrees of success in the minds of many people. 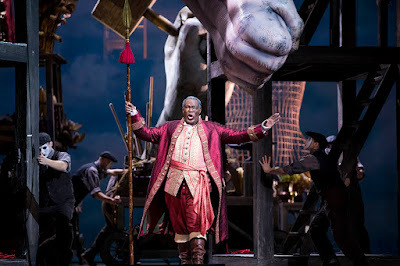 KS – There have been at least two other black Wotans, but are you the first African-American to play Alberich? EO – Oh, I don’t know. Maybe. I doubt it, though. I really do. There has to have been somebody. KS – Have there been other baritones of any background who have performed both Alberich and Wotan, the two grand opposing forces of the Ring? EO – Not to my knowledge, because that’s not an obvious… like Leporello and Don Giovanni. The young man who’s playing Alberich here – when we did this at Berlin – I was Alberich, and he played Wotan. It was a single cycle, maybe three years ago at the Deutsche Oper. KS – So, after the Met. EO – Yes, definitely after the Met. The production there was not new, and in German-speaking opera houses, when the production is not new, there’s not a lot of rehearsal time. There was one cycle we did, from the first day of rehearsal to the performance of Götterdämmerung was nine days. You’re doing them all at the same time. When I say you don’t get much rehearsal… You don’t want to do a role for the first time under those circumstances. Ha! They’ll put up a Rosenkavalier in three days and a heartbeat. People don’t know this. It’s hilarious. Ha! Now, if the production is new, they’ll rehearse it for ten weeks – the polar opposite. It’s hilarious. 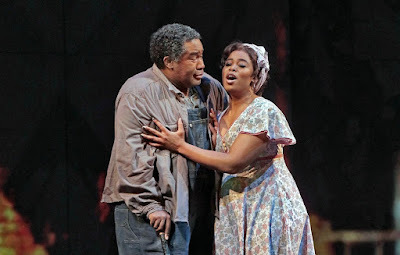 KS – On the portrayal of African-Americans in Porgy and Bess, you said, “It's a work of its period… so we don't want to airbrush out all the unpleasantries.” There are definitely unpleasantries in Wagner. You might even say deplorables. We know that he was a raving anti-Semite absolutely beyond the pale. KS – The monthly Bayreuth newsletter featured his articles forwarding bizarre racist pseudo-science of vegetarian Canadian tigers, Jewish cannibals, African ape-men, and German demigods, as well as the idea that blood of an Aryan Christ would wash away the sin of race-mixing. EO – Living in Jerusalem, an Aryan Christ. That’s hilarious. KS – The immediate problem is that his theories creep into his art. His biographers tend to say they don’t. EO – Oh, no, they do. Alberich is a Jewish character. The miser, gold-grubbing… Come on, that’s pretty obvious. He’s Shylock. Ha! 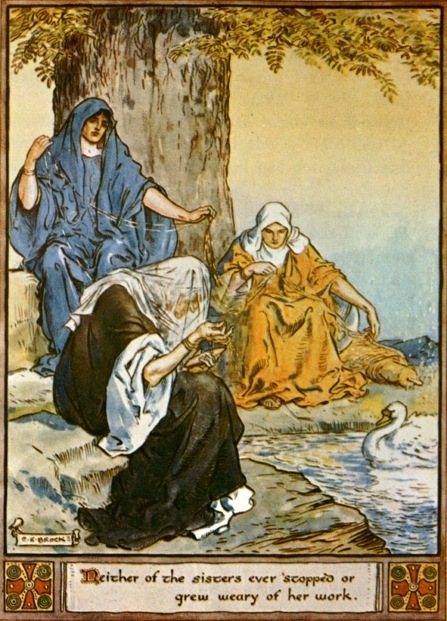 KS – Both Rheingold and Siegfried begin with base humiliations of evil dwarves who embody the worst nineteenth-century anti-Semitic stereotypes and are portrayed with imagery and terminology straight out of Wagner’s notorious essay on “Jewishness in Music,” which he wrote just before the Siegfried libretto. Anyone reading the essay and the libretto together must realize that the opening of Siegfried is a dramatization of its principles. EO – Right. There’s definitely a correlation. KS – So, in the age of Ferguson and Trump, of militarized police and border walls, of racist rhetoric in the mainstream of political discussion, how do you address the horrifying elements that Wagner himself considered of prime importance to his work? As Alberich and Wotan, you’re playing both victim and victimizer. EO – I, as the performer, have to not really concern myself that much with it, because – if I were – I’d be up there telegraphing that all night long. Ultimately, that’s not my job. When I get up there, having been slave and slave-master – if you will – I have to play those characters. If I make a decision to play those characters, it does a disservice to the audience for them to know what my baggage is vis-à-vis these characters, because – when they go sit down in a theater to watch that – I have to disappear. It’s got to be the character. Yeah, I agree with you with a lot of those things, but the less I say about it in a public capacity… It’s like a lot of these actors who don’t do much interviews because, “Well, if I tell them all about me, they’re going to see me up on the screen, no matter what I do.” It’s a funny thing. 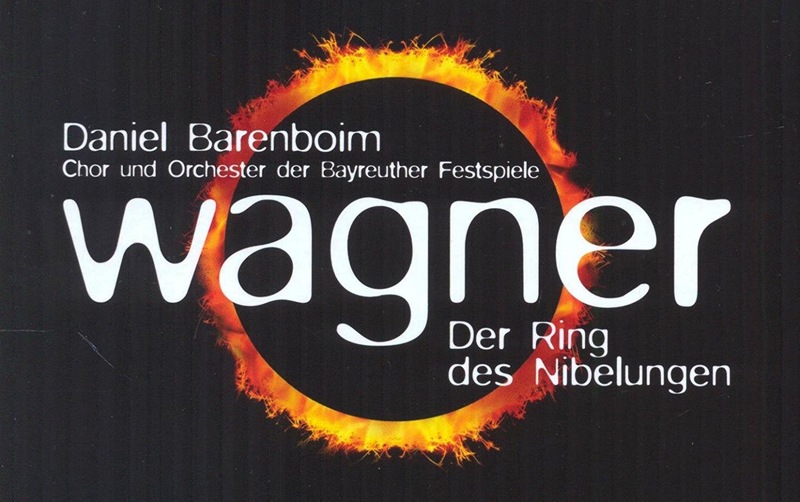 The whole question of to play or to not play Wagner, to perform or to not perform Wagner. There is obvious genius at work there. You have to come to terms with what… Are you willing to take the baby and then throw the bathwater out? But throwing the bathwater out is not really the whole thing. I mean, it’s baby soup. Ha! And all that it implies. 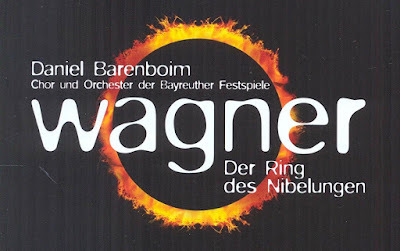 The whole idea of Jewish people performing Wagner’s music… It’s interesting to hear people like Stephen Fry and Daniel Barenboim and [James] Levine – people who have actually conducted at Bayreuth. There’s something in their musicianship and artistry that’s willing to compartmentalize it. It’s something that I do, too. In a lot of ways, [Wagner] was quite a detestable person, and he would be none too pleased to see me performing Wotan. Ha! I’m pretty sure. I recognize the genius in it. I don’t know, if these pieces were just plays that he had written, if it would get the same play. Probably not. They would probably be tucked away somewhere and be a research oddity. But there’s something about music that can make people forgive a lot of crap, if something sublime is coming from a ridiculous source. There’s something about this music that has the ability to blend the cerebral and the… You break his music down, and it’s very mathematical and ingenious, and it moves you at the same time – the same way that Johann Sebastian Bach can do the same thing. Wagner has this way of doing that. I think, if we were to put this away, and not experience it, I think we’re missing out on something. Even though, as my mom used to say, “The devil brought it, but the Lord sent it.” Ha! When something wonderful comes from the most unexpected place. Ha! KS – When I discuss the anti-Semitic stereotypes in the works of both Wagner and J.R.R. Tolkien, their fans don’t want to hear it. They say that I’m imagining it, or that I must be an anti-Semite for pointing it out. EO – Right. But that’s what’s going on in this country right now. Oh, I’m the racist because I’m calling you out on your [racism]. 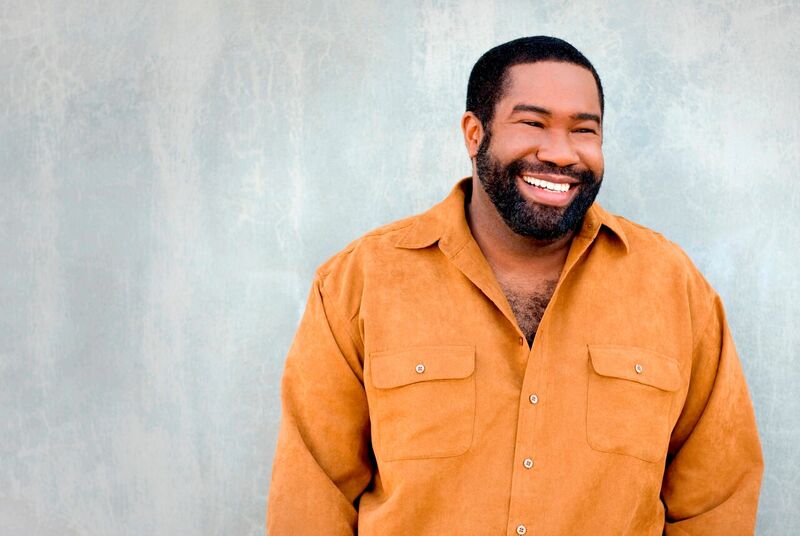 KS – How would feel playing Porgy in Harlem to an all-black audience? How would you feel playing Alberich in Israel to a Jewish audience? Even if you disappear, the characters don’t disappear. Those audiences would see all these things. I’ve been asked this a lot of times. I can understand the reluctance to embrace it, because whenever a group of people can’t be self-defining in their art and their culture, there’s something that’s sort of a weird taste in your mouth. You’re going to have these two gentlemen – these two white gentlemen – tell us what that experience is all about. And yet, it wouldn’t get played if it weren’t for [them]. If two black guys wrote Porgy, we would have never heard of it. KS – Like Scott Joplin’s Treemonisha. EO – Right. Exactly. And so it’s this weird thing where I’m sure – when you say if I did it in front of an all-black audience in Harlem and an all-Jewish audience in Israel – that audience is going to be not the entire populace. The fact that they’re there at the performance anyway says something about their willingness to look past certain things. It’s going to be a different sort of demographic that’s sort of scooped out of all Jewish people and all black people. In a way, you’re preaching to the semi-converted. All of that’s in the eyes of the beholder. It’s up to them. Of course, I look at Porgy and how… I didn’t do it for a long time. I didn’t do Porgy until I had established a career apart from that, so that I felt like I had a certain level of bona fides that would speak to me as an artist portraying this role versus, “Ah, they gave Eric that because he’s black. They put a casting net out there, and he was the black guy that was available during that period.” Something that belittles that. It’s funny, because I consciously made the decision not to do it earlier than I did, and I also made the decision to not have it be a [opera] house debut. I would not do that role at a house where I haven’t sung other things before. It was a decision, because I didn’t want to say that, “Oh, he’s making his debut at wherever, but it’s a lesser debut,” because people think in these terms. And I know that people think in these terms. It’s a weird thing, the whole idea of Porgy and what it means and where a segment of the black population has just, “You know what? We’re just going to co-opt this and make it our own.” It’s Gershwin, and let’s be real. He was responsible for a lot of people working on Broadway because of it. KS – When the first Marvel Thor movie came out in 2011, the casting of Idris Elba as the Norse god Heimdall was protested by the Council of Conservative Citizens, a modern offshoot of the old White Citizens Councils. EO – Not a surprise. KS – Widespread media coverage drew out further nastiness directed at Elba. 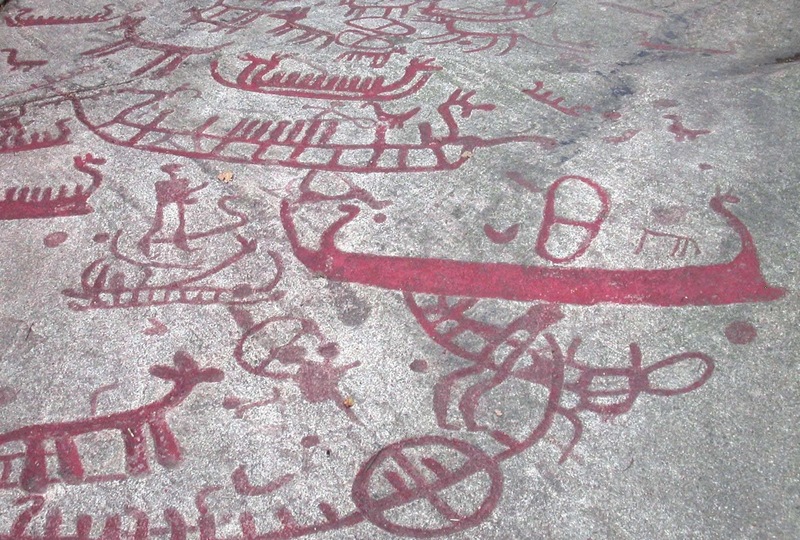 Scholars of Scandinavian studies are still writing and teaching about the incident to show students how race and religion continue to create cultural flashpoints. What would you say to old school racists who may rattle their Confederate sabres over you embodying the father of the Norse gods? It’s all fiction. We’re talking about myths. It’s a performance. People get riled up, while black culture is co-opted all the fricking time, and then claim to be... There would be no Elvis without a whole string of black artists before him. Unless confronted face to face, I’d just… this is trash bin material. As long as people like this keep having children, we’re going to have people like this on the planet. It’s just steeped in ignorance. Like when Jamie Foxx did a reworking of Annie, and a little black girl was Annie, Little Orphan Annie. They don’t even want black people to be a little poor white kid, a little orphan from the ’20s. Ha! Sometimes, I just sort of pull an ostrich where I just, you know what? I’m going to shut myself out to all the media and stuff, so I don’t even have to hear about this. For a while there, we didn’t have to hear about this, because we didn’t have the internet bringing a bunch of people together on this issue. And now we have a candidate who’s legitimizing a lot of these thought processes while at the same time, “Oh, I never said that!” All of this, and talk about revisionist histories. “Oh, that unpleasantness, that didn’t exist.” How they want to airbrush slavery out of American history classes in high schools and in these states where the school boards and districts are controlled by these people. They want to say that Moses was one of the Founding Fathers of the United States. Oh, my god. The glorification of ignorance is at an all-time high, and it’s really sad. It’s really sad. I try not to be angry. I don’t want to be a people-hater, but sometimes, people make it really easy. Just live and let live. Why is what somebody else is doing… Just like this thing with gay marriage. How is that affecting your marriage? Where people argue, “It’s sullying the sanctity of marriage.” Well, why aren’t you picketing outside divorce lawyers’ offices all the time? People do what they want to do, and they cherry-pick what they want to do, and meanwhile they’re guilty of sinning on a larger scale. It’s just this rampant ignorance coupled with hypocrisy and malice. It’s really sad. It’s funny, because it really hasn’t gone anywhere, but everybody’s a publisher now. They can spew all their stuff, and then legitimate news outlets pick it up, and then they blow it up to make it sound like it’s legitimate. News has become so monetized that a train wreck is going to sell. If it bleeds, it leads. With the media fanning these flames and trying to normalize this candidate right now, it’s really sad. The whole thing’s really sad. It’s funny. I’ve actually rehearsed and planned what I would say and how I would act if I ever got stopped by a police officer, because I don’t want to leave the scene in a body bag. But the fact that somebody feels that they need to do that, and then having other people say, “But you just do what they say, and then…” How many times when people don’t do what they say, and they don’t expect the Constitution to be trampled all over. People love the parts of the Bible they love, and they love the parts of the Constitution that they love, and then want to throw all the other stuff away. I don’t know. But here I am, doing Wotan in a major American opera house, and if people have a problem with that, don’t come. Ha! At this point Magda Krance, then Manager of Media Relations at Lyric Opera of Chicago, entered the room. Magda Krance – You are having far too much fun! EO – Ha! Oh, no. Not really. We’re laughing off the absurdity of life on this planet right now. MK – Well, there’s a lot of that, for sure. Wrapping? Rolling? Continuing? KS – Last one. Thank you. Krance then left the room. KS – You’ve become deeply involved in teaching, conducting, and philanthropy. You moved to Chicago in 2014 after the Lyric appointed you as one of their first community ambassadors for arts outreach. In Chicago, unequal access to education across the city has been a major issue for a very long time. Given your experiences engaging with Chicago students and teachers in public schools, have you been inspired with a vision of a way to address the inequality and find solutions? EO – I don’t know what the solutions might be. This is something that’s really complex, and there are smarter people than I who disagree as to how to address these issues. But what I’m encouraged by is that, when I go into these schools, I meet the people – in huge numbers, the people – students and educators who don’t make the news, that are doing wonderful things. There are some really bright kids out there coming from really, really difficult conditions, and there are teachers who are making do, and they’re showing up every day, and they’re doing all they can. To be able to see that first-hand, without the filter of the media editing and choosing what they think I should see vis-à-vis the education system in any given city. I’m really encouraged by what it is I see that is not newsworthy, because the clickbait is not as strong as something really horrible. When I go out there, it encourages me, and it gives me hope, because it’s not all bad. But the good stuff, as far as being able to broadcast it out there, it’s… I don’t know if it’s human nature that we want to watch a house fire or a train wreck. The ultimate solution is for the people who are giving their all and their best to not give up hope. But how does one fix something that’s so politicized, that’s so incredibly politicized? And how can we see images in the media, when the media is so incredibly monetized? They’re looking to make a profit, whereas before they were looking for the truth. At this point, the formal interview ended, but we continued to discuss related issues for a while afterwards. Thanks to Magda Krance and the Lyric Opera for setting up this interview, the interview with David Pountney, and the tickets that led to my review of Das Rheingold.